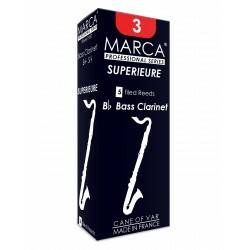 This reed has a very well balanced sound, neither too dark nor too clear. Widely used, it is long lasting. Its presentation in a luxurious black box is much appreciated by students and professionals alike. March has been manufacturing reeds in France since 1957. Definitely worth trying if you haven't already!